Hi, there. I'd love to see your Halloween creations! Of course, you can also link cards that are orange and black (without a Halloween theme), as well. Link up your cards, decorations, treat bags - whatever you've created. You can link up as many current projects as you wish. 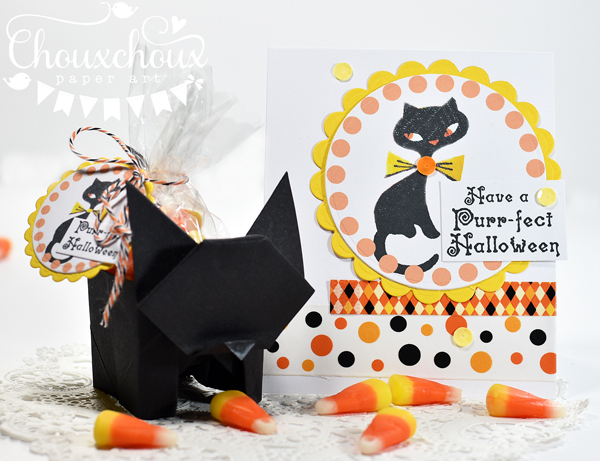 Then come back the next several weeks for Halloween inspiration, printables, and videos. 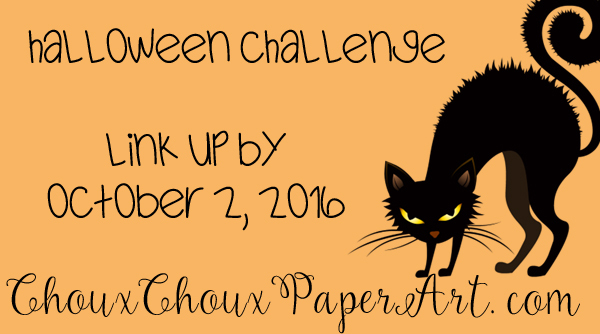 Link up by Sunday, October 2, 2016. Winner (selected by InLinkz random selection) will receive an email and be announced that week. I love it when you have a challenge, Lori! I'll definitely be back to join you! I have lots of fall cards to make! Thanks so much for the inspiration! Love that origami black cat! Ooops, just realized it's Halloween and not fall! I don't make many Halloween cards but hope to make a few so I'll be back at that time! Sounds like fun! I'll be back with an entry! So hope I can get something made for your challenge, Lori--always enjoy them & what a great prize! Super cute projects Lori........I hope I can find some time to play along! Hello, Lori! Just realized I was running out of time to support your challenge so I made a Halloween card! I didn't have time to blog it so I linked it to my Flickr account. Thanks for all the inspiration and the fun challenge! Enjoy your day! Well it's no fun unless the pressure is on! So I scrambled and made a few more for you! Two of them feature the cute black kitties that you've shared here over the years! Thank you, Lori!